Authorities in Orlando has begun releasing names of victims in the gay club terror attack of Sunday morning, and the CBS has published a list of names and photographs of some of the victims. They are victims of Islamic terrorism, the Islamic State having claimed responsibility for the attack, which has left 50 people dead and 53 wounded. ​ News reports describe the attack as the worst in the United States, since the September 11, 2001 attack on the World Trade Center. 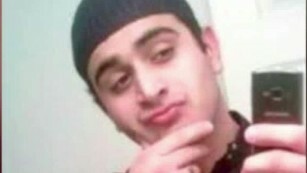 Omar Mateen, the killer, whose photograph appears above, reportedly called 911 and pledged allegiance to the ISIS before he went on his killing spree. Record show that he was born in New York City, but that his parents hailed from Afghanistan. He had been arrested and questioned twice by the FBI and released both times for lack of sufficient information to hold him. It is still unclear if he has direct contact with any terror organization outside the U.S. He was reported to have hailed the Tsarnaev brothers, who carried out the Boston Marathon terror attack of 2013, and killed three people.